It is fall here in New England. The trees are starting to change, mums are popping up on porches, pumpkins are being picked and people are gathering for fall festivities. Last year, we were lucky to be invited to a little gathering to carve pumpkins and bob for apples. You can bet that I did NOT bob! 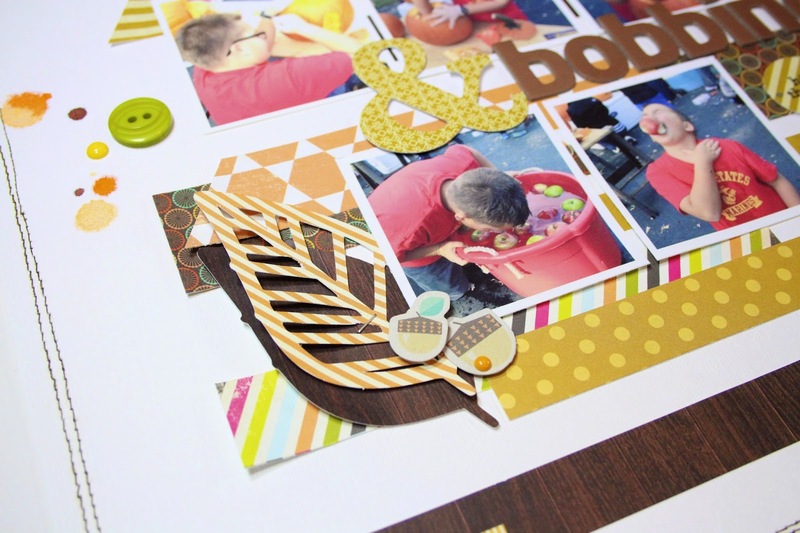 Mary-Ann here to share with you, my take on the September ePlay - Fall Challenge. I dug out some of my recently cracked 6x6 paper packs from Fancy Pants and selected colors that would replicate fall and blend with my pictures. I decided to keep this layout simple by cutting strips of random sized papers and applied haphazardly on my cardstock. I added loose Fancy Pants embellishments, buttons, ephemera and a few drops of colorful Dylusions. I did dig out my die cutting machine to help cut my leaves and my sewing machine. I love how it turned out and hope that you do to. Here are a few closeups of my layout. 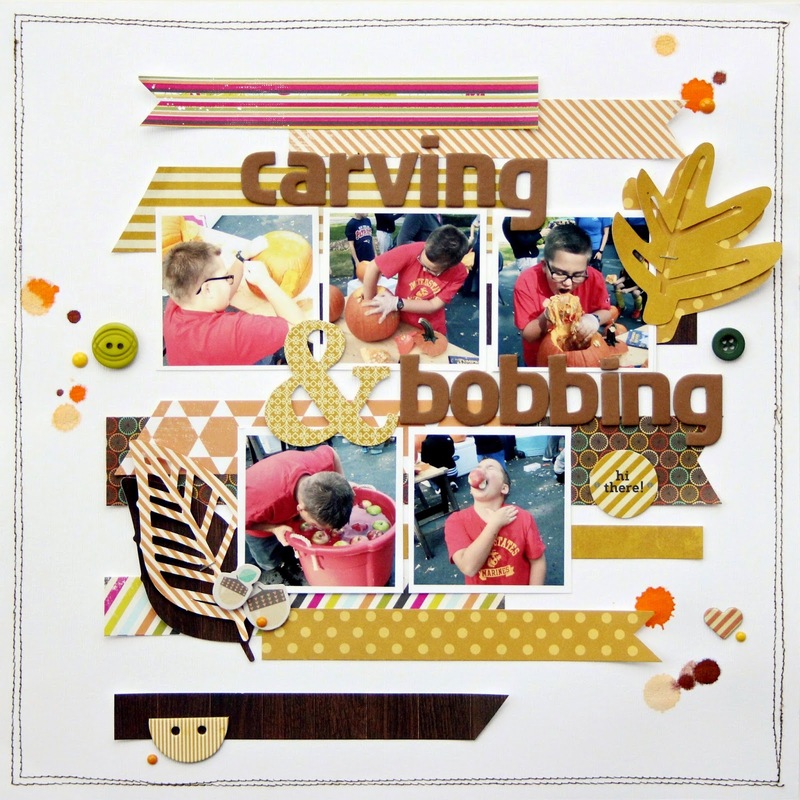 Thank you for stopping by and be sure to upload your FALL creations to this link. Supplies I used on this project! what a great fall page highlighting all the fun things we can do in this wonderful season! Oh I love it. 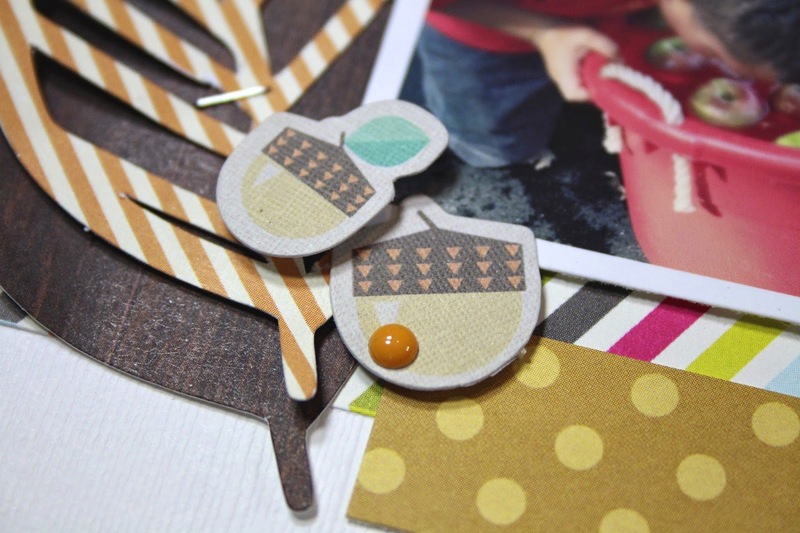 I love how your layouts have a mixture of mixed media and scrapbooking. Wonderful layout.